Mildred G. Trongard, 87, of Port Washington, Wisconsin died Friday, November 22, 2013 at Lawlis Family Hospice at Columbia St. Mary’s Hospital in Mequon, Wisconsin. She was born August 11, 1926 in Wessington, South Dakota to Sheldon G. and Ellen Ladd Bottum. She taught in a one room school house in Sacred Heart, Minnesota before she married John E. Trongard on June 30, 1951in Sacred Heart, Minnesota. After their marriage they moved to Milwaukee, Wisconsin, raising their family in West Allis, Wisconsin. She was a substitute teacher over the years. She also was a ward secretary for West Allis Memorial Hospital. The couple moved to Watertown, South Dakota and she worked as a ward secretary for St. Anne’s Hospital there. John preceded her in death September 7, 1993. Mildred moved to Grafton, Wisconsin and later Port Washington, Wisconsin. 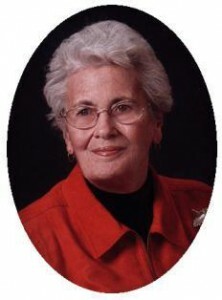 She was active with St. John’s Lutheran Church in Grafton and their Ladies Circle. She enjoyed quilting and learning about her family geneology. She is survived by her children Jo Ellen (Mark) Gray of Milwaukee and James (Maureen Hughson) Trongard of Port Washington. Further survived by grandchildren Asher (Kayleigh) Gray, Emily (Evan) Solochek and Chloe Gray, brother Donald (the late Marlene) Bottum of Tulare, South Dakota, nieces, nephews, other relatives and friends. She is preceded by her husband John, and sisters Geraldine “Helen”Kasin and Alice Kaye. The family will hold memorial services at a later date.